Dr. Robert H. Leslie Jr.
Westminster Presbyterian Church is the second oldest Presbyterian Church in Dallas. As Dallas grew, members of First Presbyterian Church saw the need for a second Presbyterian church in the city. At an 1891 Presbytery meeting in Colorado City, Texas (three hundred miles west of Dallas), delegates asked for a commission to consider establishment of a new church to serve the rapidly expanding residential district in "far North Dallas" (now the heart of the city). Dr. A.P. Smith, pastor of First Presbyterian Church, served as Chairman the commission. Other members included: W.L. Lowrance, City Evangelist; James D. McLean, Presbytery Evangelist; and ruling elders from First Presbyterian - John M. McCoy, A.F. Hardie and W.R. Wilson. Elected as elders were A.F. Hardie and William Russell; elected to the Board of Deacons were John Beattie, John Woodsides and Albert Toole. As suggested by its new pastor, Mr. McLean, the church was named Westminster Presbyterian Church. The organizational meeting was held March 13, 1892 and the charter listed seventeen members. The next Sunday, three new members were received into the congregation. The city of Dallas grew and so did WPC: fifty members by the end of the first year, and one hundred forty-four members by March 1898. By 1908 Westminster had grown to three hundred fifteen members. The church moved twice, eventually settling at Fairmont and McKinney streets. By 1910, a cornerstone was laid for a new building and the congregation pledged $16,175 toward the first phase of construction. When pledges fell short, members obligated themselves to complete the construction, signing personal notes. 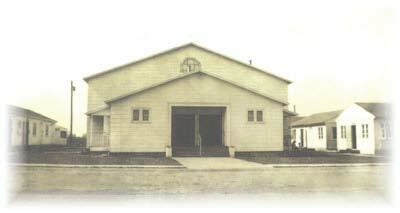 More money was borrowed to complete the sanctuary, and by 1923 all notes were paid. In 1942, 528 members celebrated WPC's 50 year anniversary. World War II ended and Dallas was growing, once again to the North. The decision was made to move the church farther north, resulting in the purchase of property at Devonshire and Purdue for $15,600, plus $5,500 paid to the city for right of ways. For nine years, WPC carried out all activities in a frame building and pre-fabs, described later by Reverend Robert Stewart as "GI Gothic". On April 25, 1954, ground was broken and on February 6, 1955, the cornerstone was laid for a Georgian-style structure with graceful columns and portico. When the new building was completed in September of 1955, Dr. Walter A Bennett officiated at its dedication. In 1971, a chapel was dedicated and named in memory of John L. Morrison Sr. An education building was completed in 1984. 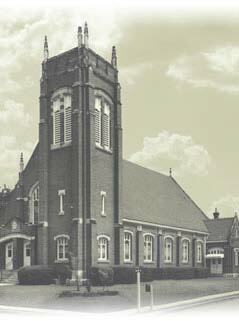 WPC was instrumental in the beginnings of three other Presbyterian congregations: Highland Park; Covenant (Farmers Branch), and Canyon Creek. Today, WPC's membership reflects a broad cross section of the DFW area. The church has an exceptional preschool and kindergarten. WPC strives to serve its neighborhood, the city and the world.